Strong reading skills are absolutely fundamental for children to succeed, both in school and later in life. Yet a majority of students in the United States are unable to read proficiently by the end of grade school. A number of well-intentioned interventions have tried to tackle this pervasive problem, but remain too difficult to scale, require too heavy a lift for parents, or are based on outdated research about how children learn and behave in the real world. We’re applying our expertise and leveraging our track record of innovation to this problem with Every Child Reads, our behaviorally-informed family literacy program developed in partnership with Stand for Children, a national nonprofit dedicated to student success. We launched the first phase of Every Child Reads with a 50-family pilot for children in grades two through five at the E. N. White and McMahon Elementary Schools in Holyoke, MA. Holyoke is a community largely comprised of low- to moderate-income families, and in 2013 just 13% of its children were reading at grade level. We know that because they spend most of their time at home, reading at home boosts a child’s proficiency and that most parents want to help their children build reading habits. But a scarcity of time, resources, and energy can make it difficult for parents to follow through on their good intentions to make reading a family habit. That’s why each of the core components of Every Child Reads was designed to address a common behavioral barrier preventing parental involvement in building strong reading routines with their children. First, we made book access easy. Acquiring books can be inconvenient and costly, and parents may not know what to look for when choosing books for their children. Each family in this phase of Every Child Reads gets a tablet pre-loaded with myON, a digital library packed with thousands of titles. myON recommends “just right” books based on children’s interests and reading level, and it provides helpful supports like audio read aloud and an in-app dictionary tool. Second, we added reading goals. Each month, families set a goal for how many times per week they want to read together. 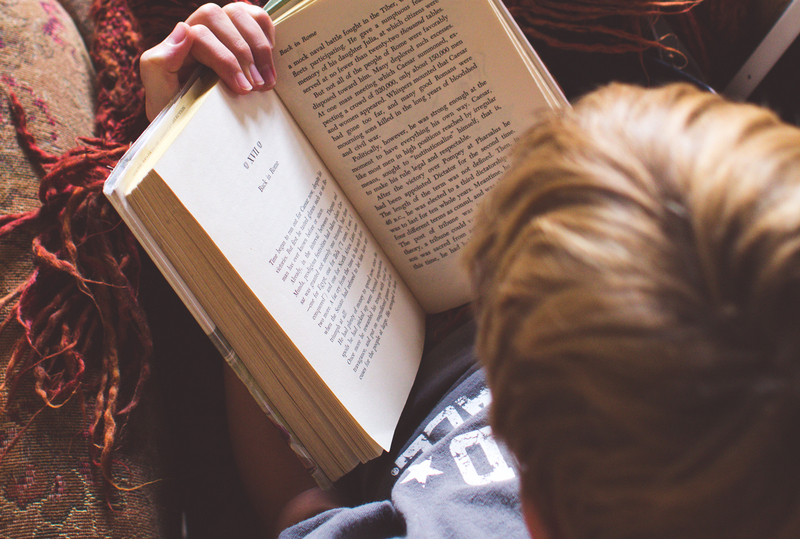 Focusing on reading sessions takes the pressure away from tracking minutes or pages and reframes the task as much more manageable–just sit down and read. Parents and children set these goals together, building ownership and accountability. Finally, personalized support. Since myON tracks reading activity, we’re able to provide families with direct feedback on goal progress through interactive text messages. These texts also offer tips on effective reading, encouragement on progress toward goals, and access to other opportunities to engage. Digital reminders help families keep reading top of mind, and automated text messages allow us to provide customized tips and support regularly. Because we know how busy parents are, this program doesn’t require them to sign weekly reading charts or show up for lengthy workshops. For parents who want to do more, Every Child Reads offers a variety of additional ways to engage. Optional monthly events show parents how to call their local lawmakers and advocate for more school resources, how to make the most out of a parent-teacher conference, how to ask good questions about a book while reading with their child, and more. Every Child Reads seeks to meet parents where they are and help their children get to where they want to be. Given the importance of literacy, it’s critical to incorporate behavioral science into beneficial programs to ensure they actually fit into real people’s lives. We’re looking forward to learning from Holyoke families over the next several months, with the aim of refining the program before bringing Every Child Reads to families across the country.